Mental health problems in the Muslim community are more common than you may think, even if they are not apparent. About 70 percent of the general population experiences some type of emotional suffering that may require help. The most common of these conditions include anxiety, depression or both. Our mental health affects everything we do, from our family life, social life, and even work life. Just because you may not see it, doesn't mean it's not there. "The Imams and [leaders] in our community need to recognize, first of all, that these issues are real. And without downplaying the importance of prayer and faith it's quite important to recognize that there are treatments available for these conditions and that people should try to seek professional help," according to Dr. Safdar. "Whenever we have stress, it comes out in all different forms," he added. "The quality of life will be affected for the individual, sometimes the entire family. Sometimes people under extreme stress cannot function at work, and that has financial implications." 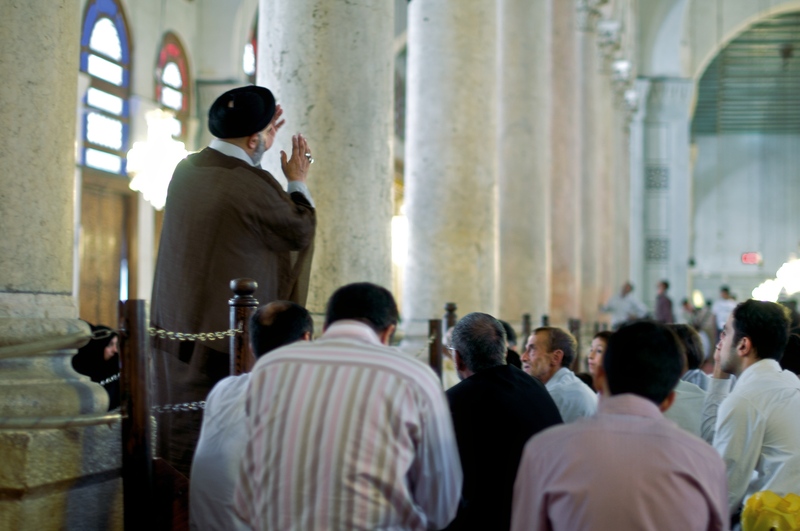 According to Dr. Safdar, "it's very important for Imams to recognize that within our community we have a whole variety of issues that people are experiencing, whether it is individuals who have stress-related problems like anxiety and depression, or people with more serious issues like schizophrenia. There are people in our community with these problems—and other illnesses—that need treatment now." Other common mental health problems that often go ignored are children with ADHD, substance abuse in adults and youth, delinquent behavior, and the mental health effects caused by domestic abuse. Do not tell listeners that prayer replaces medicine. This is simply not true. In Islam, we believe in turning to Allah in all cases, but also seeking and utilizing the best medical treatment available. "I heard an Imam talking about how we can deal with all of our mental problems by devoting ourselves to more prayer," recalled Dr. Safdar. "He even [said] medicine is not necessary, because the answer is there in prayer. People who are suffering from schizophrenia, who have hallucinations, illusions, etc., they are being told to stop taking their medicine. That may be putting them into very serious risk of relapse, and even ending up in the hospital." Imams are not expected to have all of the medical answers to complex mental health questions, since they don't have medical degrees in this field. However, it is more likely that a Muslim will turn to their Imam before they turn to a mental health professional for a variety of reasons, including fearing the social stigma of seeking help from a "shrink". This puts Imams in the position of playing psychiatrist; instead, if you don't know the answer or are unsure of the treatment or solution of a mental health problem, be ready to guide others to mental health professionals in the community. They are better equipped to provide the proper treatment or counseling. "Many people see mental illness or mental problems as if they would diminish their self esteem or make them look ‘crazy' or unstable. People don't wish to feel that way, so there's a lot of denial. They would rather go to an Imam before going to seek professional help." Imams should directly address this in Khutbas and lectures. "The main point for me is to look for it, to be vigilant when you interact with your congregation and people in the community, to be observant. Once you recognize it and explore it a little bit more you can guide them to more help." Many people in our communities—and across America—lack adequate healthcare coverage. That's why they will ignore these things because they can't afford to get help or to buy medication. But we do have resources where people don't have to spend large amounts of money and can still get samples of medication at the very least. "Don't make getting help and mental health treatment look like it is unnecessary or it's useless. I think it's important to emphasize that our faith teaches us to seek knowledge and benefit from knowledge and not to shun it. It's not alien to our faith. It is a combination of prayer and devotion and faith and a utilization of modern science and research—not just for mental health issues but all types of health-related problems. If someone has cancer, of course a Muslim turns to and prays to Allah, but at the same time, they should seek the best possible medical help available." Certainly regular prayer and zikr are the answers for most of the mental health problems among muslims. Medicines are not above the divine mercy to rely upon except when they are essentially needed in special cases. The limited knowledge of a doctor can never replace the all round absolute wisdom of the Almighty.